Old-fashioned from scratch. 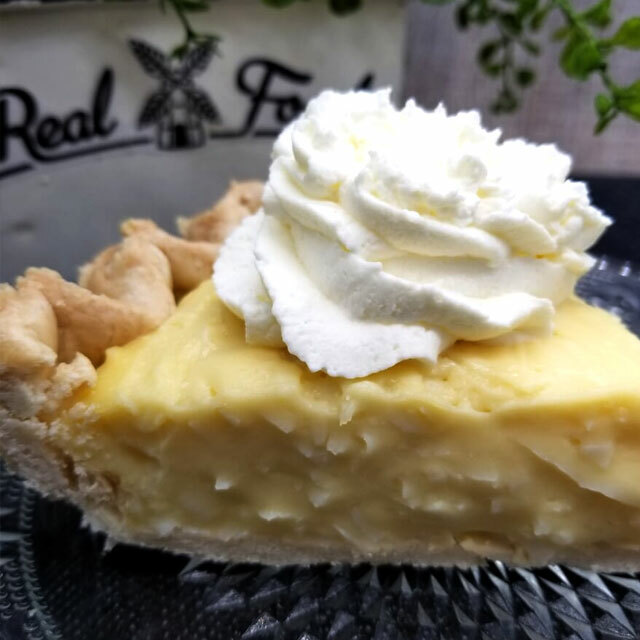 Creamy vanilla and coconut, lightly sweetened in lard crust. Memories!